Driving in Japan will show you many aspects of the city and countryside that are inaccessible by public transport. Be cautious, because roads and highways in urban areas can be very crowded. Drive on the left side of the road. Japanese traffic rules and signs (also in English) follow international standards. Follow the speed limit shown on road signs or markings. At places where there are not any road signs or markings, drive at 60km/h. On highways and expressways, drive at 100km/h unless specified otherwise. Do not drive after drinking alcohol. Driving under the influence of alcohol is strictly prohibited and will result in a fine, imprisonment or penalty. When a driver is arrested for DUI, the driver and the person offering the car will be fined a maximum of 1,000,000 Yen, and all other passengers in the vehicle knowingly allowed the driver to drive will be fined a maximum of 500,000 Yen. It is obligatory for all passengers to wear a seatbelt. Do not park illegally or your car may be towed away. Always carry your driver’s license! See also: the list of traffic signs . 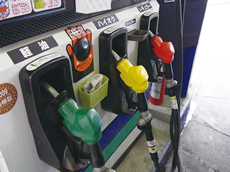 Gas stations in Japan are either self service or full service, depending on the station. Some stations offer both. At full service stations everything from refueling your car and cleaning your windows to emptying ash trays and disposing of trash is taken care of by the station employees. As can be expected, self service stations do not offer the above mentioned services. 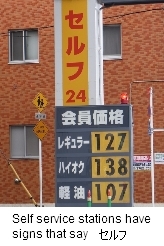 The prices shown on the signs in-front of the station are per liter, and as a rule, self service stations are usually 2-3 Yen cheaper than full service ones. At self service stands you may have to pay before you can refuel your car or after you have finished. Payments can be made by card or cash. Some stations offer membership programs which result in special discounted prices. Three types of fuel (two types of gasoline, and diesel) are sold at gas stations. At “full service”, staff will refuel for you if you tell them the type you require. At “self-service” stations, choose the correct the kind of fuel for your car. The different types are indicated by multi-colored nozzles, so please be aware of what they represent. There is a gasoline tax and some stations may list this separately on your receipt. Here are some useful Japanese phrases when using a full service station. Hai-oku mantan (ハイオク満タン): Please fill it up using high-octane. Regular mantan (レギュラー満タン): Please fill it up using regular. 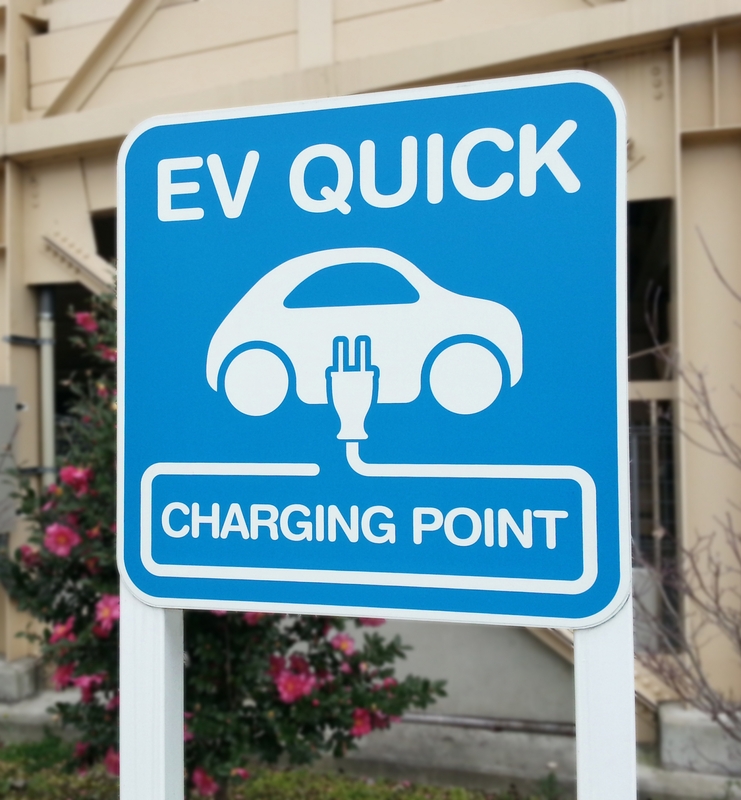 EV charging stations are becoming more common in recent years, and can be found at some larger public parking lots. The Tokyo government has also begun to subsidise the installation of charging stations in apartment block parking areas. In order to own a car, you also need to secure a parking space near your house. Parking fees in metropolitan Tokyo range from roughly 30,000 Yen to 50,000 Yen per month. A parking space certificate must be issued when you buy a car. When parking elsewhere, you must park at designated spaces. You can find paid parking on the road or in a lot. The parking fees can range from ¥300 to ¥800 per hour. Street parking is prohibited on most of the roads, and may result in a fine. When your car is towed, you will also have to pay commission for the towing. See here for parking at airports. You can rent a car, as needed, if you do not wish to own your own. Rent-a-car services are reasonably priced in Japan, and you can rent different types of cars depending on your purpose. A small car may cost from around 6,000 Yen per day, while a van for 7 passengers may cost around 20,000 Yen per day. Another option is car sharing, where you pay a monthly fee in addition to rental fees (lower than for a regular rental service) for access to cars located in lots around the country. Booking is still required for this service. Nippon Rent-A-Car operates approx. 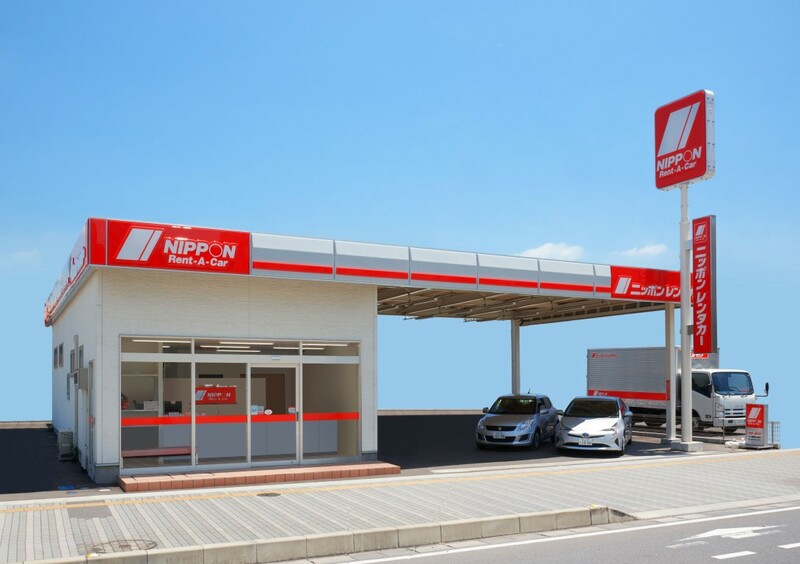 650 rental offices nationwide at the main airports, railway stations and in towns and cities, large and small.Nippon Rent-A-Car carries various major Japanese makes and including new models and hybrid cars. Most vehicles are equipped with multilingual GPS, while telephone interpreting service is available 24 hours a day in English, Chinese and Korean. Thai and other language service is available during limited hours. An English-language website and English Service Desk are also available to make reservations and inquiries in English. For the convenience of international travelers, rental ETC cards, which make it easy to pay road tolls, are also available at many rental offices, in addition to major expressway pass programs. Enjoy safe and comfortable driving with Nippon Rent-A-Car’s range of vehicles.